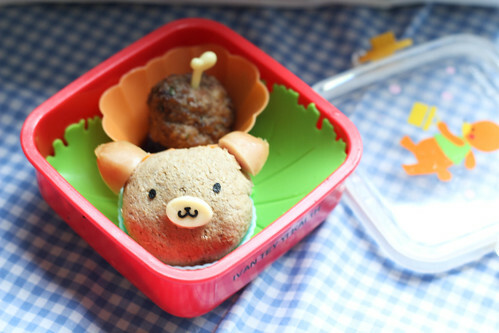 Today bear was made out of wholemeal bread, just put filling and seal them up into a ball using cling wrap. 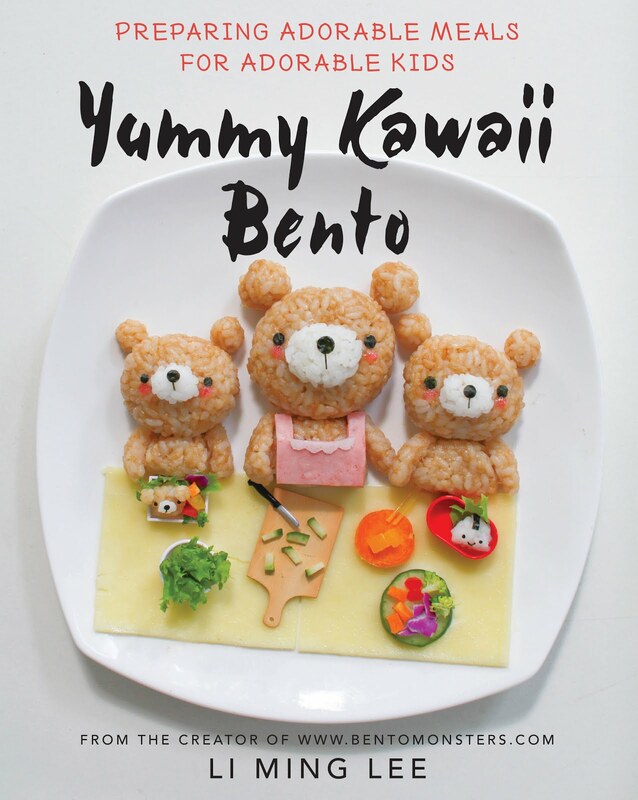 Pretty much the same way as shaping the onigiri. 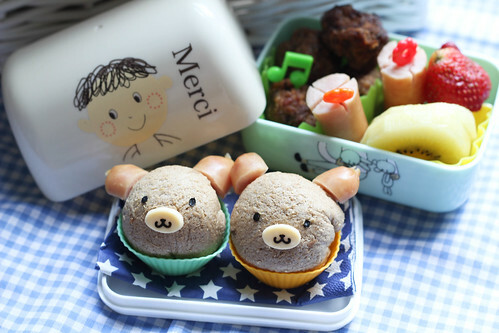 I'm using new lunch boxes for the boys, these are actually onigiri lunch box from shinzi katoh. They are very pretty. 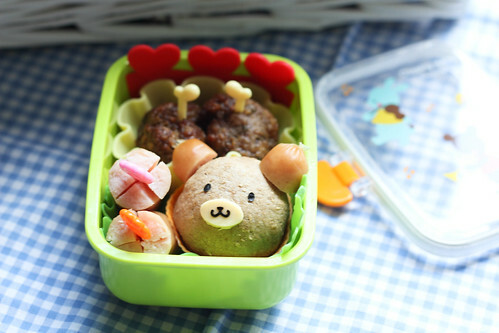 Bento for LT, in the pretty shinzi katoh lunchbox. 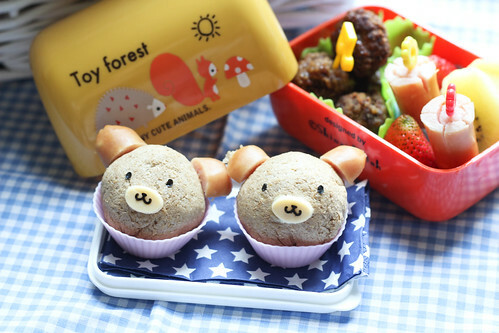 Bento for IT, in another design of shinzi katoh lunchbox.